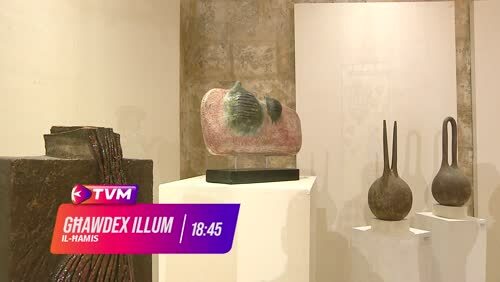 Għawdex Illum is in its thirtieth year of uninterrupted weekly broadcasting on the Maltese national television network. It is produced and directed by Alvin Scicluna who also scripts features with several valid and longstanding colleagues that include Joe Camilleri (arts and culture), Anton F Attard (environment, folklore and traditions) and Rev Dr Joseph Bezzina (history). This programme focuses on everything that is Gozitan – from administration to voluntary work, from history and culture to current affairs, from people living in Gozo to those who have taken the island`s reputation far and away. unsurpassed by any other competing television programme in Malta, and includes best magazine programme, best cultural TV show, best cultural journalism, best broadcast film journalism, best broadcast script journalism, best overseas journalism, best travel programme and best journalism that makes good use of the Maltese language. Għawdex Illum was the first privately produced television programme (farmed out) to be screened on the national TV schedule following the application of the law regulating pluralism in broadcasting in 1993. Since its inception way back in October 1988, Alvin Scicluna and CVC Media have produced over 1,500 weekly editions.